Choosing a VR headset isn’t easy. Every year new models hit the market claiming to offer something new to the space, and many of the more premium headsets regularly receive price-drops and discounts. This can make it quite tricky for users as they are often left spoiled for choice, not knowing whether to go for a cheaper headset or invest in a high-end model if they can find a good enough deal. The issue here is that cheaper VR headsets usually require the use of a mobile device and whilst these headsets are generally very good, they don’t quite offer the same level of performance or functionality as more expensive headsets such as the Oculus Rift or HTC Vive. 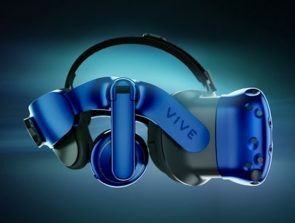 This means that, although the user will get a decent VR experience, it won’t be the same as the experience they could have if they were using a high-end headset. However, high-end headsets aren’t perfect, mainly because they require a powerful PC to run on and this is something that not all users have. Manufacturers are very aware of this problem, which is why so much time and effort is being put into developing VR headsets that either requires a smartphone or can simply run by themselves. This guide is going to look at the best budget-friendly headsets on the market and hopefully, it should help to clear up a lot of the confusion that users may have about VR and the different headsets that are available. 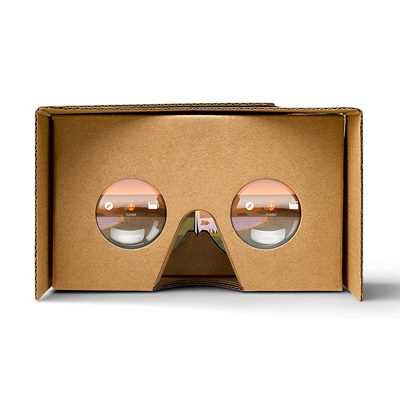 For those who are looking for the cheapest way into VR, the Google Cardboard is the way to go. There will likely be plastic headsets available at this price-point, however, the lenses inside simply won’t compare. The lack of a head strap is still a huge downside. When it comes to value for money, it doesn’t get better than Google’s Daydream View. It offers users a great VR experience with plenty of functionality that matches the Gear VR in a lot of areas but at a cheaper price, fairly durable, very lightweight. This is the only device on this list that doesn’t require further investment into a high-end PC or smartphone. As such, it has been chosen as our top pick as it provides a great VR experience without being held back by other devices. 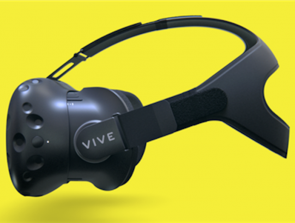 There are three main types of VR headsets currently available on the market. These are PC, mobile, and standalone. All three have their own pros and cons which we will get into but essentially they all aim to do the same thing, that is to deliver an immersive experience to the end user. PC headsets were the first to arrive on the market with the Oculus Rift receiving somewhat mixed reviews when it officially launched. Although PC headsets are generally far more expensive than mobile and standalone headsets, they do offer more performance and usually a better VR experience overall. However, as previously mentioned, these headsets do require a powerful PC to run them. This is the main drawback of PC headsets and is the reason sales figures for the headsets have been lower than initially expected. This and the fact the devices themselves are very pricey. Mobile headsets are the most budget-friendly option when it comes to VR. These devices work by attaching the smartphone to the front of the headset to use as the display. The smartphone is then responsible for providing the various apps and games to the end user, much like a PC does but on a smaller scale. The functionality of these headsets can vary greatly, with some headsets simply acting as a shell for the phone to sit in, whilst others, such as the Samsung Gear VR, open up a whole new interface for Samsung users. Standalone headsets are relatively new and they aim to bridge the gap between PC and mobile headsets. Unlike the others, these devices do not require the use of a PC or a smartphone, instead, they have their own internal display and run on their own power. They will likely require a phone for setup, but not as the brains of the device. 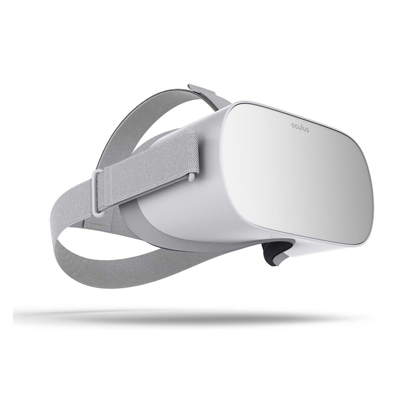 The Oculus Go is the first standalone headset from the company and although it doesn’t quite offer the functionality of its bigger brothers, it is still a very capable headset that provides a decent VR experience for a headset at this price point. As a standalone headset, it doesn’t require a PC or smartphone to run. A phone will be needed for setup but after that process is complete, the headset will run on its own. This does limit its performance when compared to PC headsets and users should expect a similar experience to the one they would get if they used a high-end mobile headset like the Samsung Gear VR. The Oculus Go includes one controller and it has received a number of glowing reviews for its ergonomic design and impressive levels of functionality. It would have been nice, however, for the headset to use a second controller for gaming, as this would have put it above a lot of other headsets at this price-point and added another level of functionality on top of what is already a very good device. There are two models available, a 32GB variant, and a 64GB variant. For most casual users the 32GB will probably offer enough storage and it has the added bonus of being cheaper. Those who intend to use the headset more regularly and for a lot of gaming will likely want to invest in the 64GB model, as there is a good chance they will run out of storage space otherwise. The headset also has two ports which include a MicroUSB port for charging and an Audio Jack. The headset does include its own set of speakers that Oculus claim will replace the need for headphones, however, users should remain skeptical about this and be prepared to use headphones for a truly immersive experience. The headset is made from plastic and it should be fairly durable and able to survive the odd drop or impact. It also uses foam padding for added comfort and overall, the headset is lightweight and users should have no issues using the device for longer sessions. 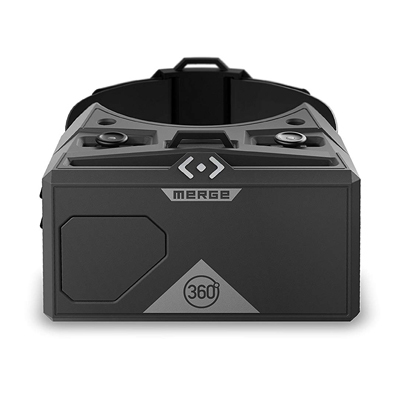 Standalone VR headsets are relatively new but as one of the first, this is a great example of things to come. It isn’t the perfect headset but it also isn’t far off. For a while now, the Samsung Gear VR has been the pinnacle of mobile VR headsets. The device is packed with functionality and most other mobile headsets simply can’t compete. These features don’t come cheap though and the Gear VR is certainly one of the pricier mobile headsets on the market. Being a mobile headset, it doesn’t require a PC to run. Users simply have to connect a compatible smartphone to the front of the device and that’s it. The good thing about this setup is that the experience can improve over time as smartphones and their software continue to evolve. This makes mobile headsets good investments for those who don’t wish to upgrade to a new headset every year or two just to keep up. The display will vary depending on the smartphone that is used. Currently, the Gear VR supports a number of Samsung phones including the S8 and S9. Other Samsung smartphones can be used via adapters but the experience may vary. Samsung’s flagship phones use OLED panels and will, therefore, provide a very vivid display for the user. The downside of using a smartphone screen though is that any dirt or fingerprints on the screen will be immediately visible through the headset, which can become extremely annoying for users. There are two ports on the headset, A USB-C port for connecting the device and a second USB-C port that can be used for charging. 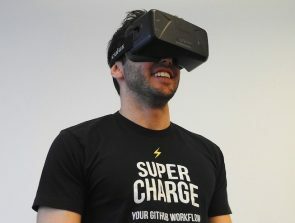 The USB-C connection from smartphone to headset prompts the phone to go into VR mode and a new interface is displayed on the phone that users can interact with from inside the headset. The device doesn’t need to be charged but when a charger is connected it will use the power from that charger rather than the smartphone. This is a nice feature to have as it will preserve the battery life of the smartphone during longer sessions. The headset is made mostly from plastic with a soft foam layer that rests against the users face providing comfort. Plastic is commonly used when it comes to VR headsets as they need to be lightweight. Plastic is also relatively durable and it should protect the device from small drops and impacts. The weight will vary depending on the smartphone that’s being used, however, this variation should be minimal and users will likely not even notice. 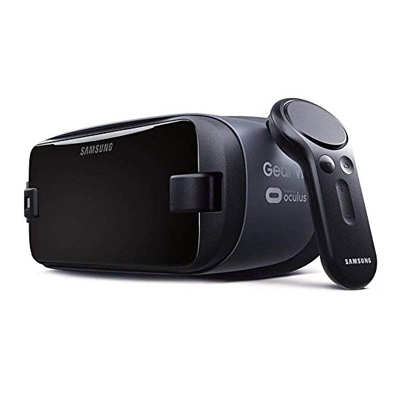 The Gear VR is one of the best options when it comes to mobile headsets, however, the fact that is only fully compatible with certain Samsung smartphones prevents it from getting a perfect score. When it comes to budget headsets, the cardboard is about as far it goes. It was one of the first headsets to arrive on the market and although it has seen some minor changes with the release of the V2, it remains largely the same. It is important to stress that this isn’t intended for the same sort of use as the other headsets in this guide, instead, it should be seen as more of a gateway headset, allowing users to have a preview of what VR has to offer without spending a considerable amount of money. The Google Cardboard is a mobile headset which isn’t surprising considering its target market, however, this does mean that it has the added benefit of not needing a PC to run on. This will, of course, limit the performance but users only need to look at this device to realize that this will be the case. It is capable of supporting smartphones with screen sizes of 4 to 6 inches and because of this, the headset can potentially have a very nice display. The lenses inside are also very high quality, compared to other headsets at this price-point. Users should be sure to keep the screens of their smartphones spotless though, as any dirt or smudges will be instantly noticeable when the headset is on. As its name suggests, the headset is made of cardboard. Although this makes it a very lightweight headset, it does, of course, mean it isn’t the most durable. Another disappointing aspect of the headset is the fact that there is no head strap. Users will probably be able to Macgyver one to it if they want to but if not, they will be left having to hold the device to their face. One of the more surprising features of this device is the little magnet on the side of the headset that is actually a button. 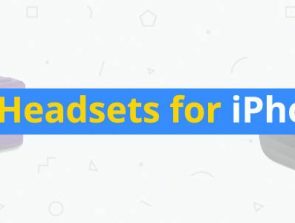 This button acts as if the user has pressed on the screen of their phone, which obviously the user will not be able to do when their phone is inside the headset. There is also an NFC chip inside the headset that automatically launches Google’s Cardboard app when the phone is placed inside. A decent option for those who are unsure if VR is for them, however, it simply can’t compete with the other headsets on this list in terms of functionality. After the success of the Google Cardboard, the company released a new, more premium headset called the Daydream View. it has been designed to compete with other premium mobile headsets such as the Samsung Gear VR and for the most part it does, however, there are a few little things that hold it back from being the best in many peoples opinion. 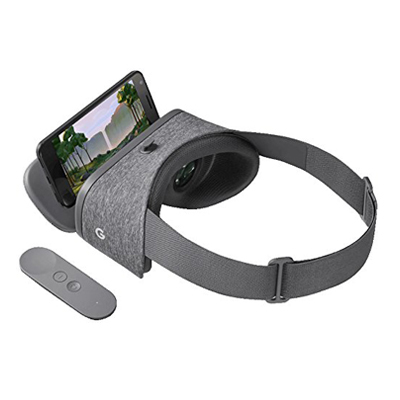 Performance-wise the Daydream View is pretty much on par with the Gear VR. It doesn’t have the nice Oculus UI that comes with Samsung’s headset, however, Google has developed its own interface which also performs rather well. One of the downsides to the Daydream UI though is that the controller has to be used for navigation, whereas, on the Gear VR, it is optional. The controller itself is pretty good. It has a very slender design and it should fit snug in most users hands. It doesn’t quite have the same amount of functionality as the Gear VR controller though and has been designed primarily to be used as a pointer. It can be used for gaming but the experience could be slightly limited. The display will of course vary depending on the screen of the phone that is being used but unlike the Gear VR, the Daydream View is compatible with a much broader array of phones. This is great for users who don’t have a Samsung device, however, it is important that the display of the phone has a high-resolution. This is because firstly, it is a requirement of Daydream-ready phones and secondly, lower resolution screens of 1080p for example, will show noticeable pixels when inside the headset. The headset is made of a combination of fabric and plastic. The plastic sits inside of the headset providing structural integrity and the fabric is used on the outside to provide comfort. The Daydream View has received a lot of praise for this design and it is reportedly one of the most comfortable headsets on the market. All things considered, it really depends on the user as to whether this is a better purchase than the Gear VR. It might not have the same amount of features but it is far better in terms of compatibility and it also has the added bonus of being slightly cheaper. 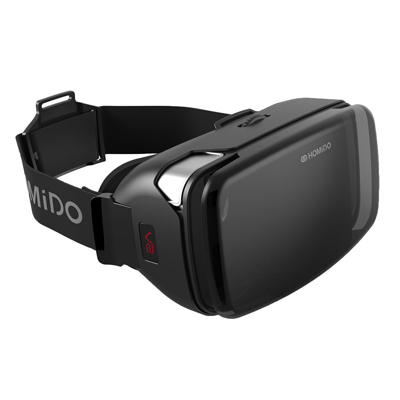 The Homido VR V2 is a fairly unknown headset in the VR world but it doesn’t change the fact that it is a great headset for those on a budget. It doesn’t quite have the functionality of the more premium mobile headsets out there, but for users who want something a bit more immersive than the Google Cardboard, this is arguably the next best thing. As a mobile headset, the display will vary based on the phone that is being used but one of the great things about general mobile headsets such as this one is that they aren’t tailored to work with specific smartphones. This may be a detriment in terms of functionality but it also means the headset is very versatile and in fact, this headset will work with all smartphones that have a screen size between 4 and 5.7 inches. The headset is made of plastic with a foam section that rests against the users face providing comfort. This is the design used by most manufacturers as it provides a good level of comfort, whilst remaining lightweight and fairly durable. An added bonus of this headset is the fact that it comes with its very own carry case. This is something not often provided with many other headsets so it’s nice to see Homido going that little bit further for their customers. Also in the box is a spare foam insert for if the other one needs a wash at any time. It isn’t a premium quality headset but it still offers plenty of features at its price-point. For users who are looking for a simple headset that will provide a comfortable VR experience this is a great product. The device is a mobile headset and it will work with the majority of smartphones that are currently available. This does mean, however, that any dirt or fingerprints on the screen of the phone will be very noticeable when it is being used inside of the headset. Although the headset will provide a limited level of performance compared to PC headsets, it isn’t really an issue with this device, as it has been designed to provide simple, educational experiences, rather than a fully-fledged gaming one. The headset is made out of foam, meaning it is very lightweight and durable. Having a foam shell also provides a good level of shockproofing to the phone inside, meaning that if the Merge Goggles are ever dropped or knocked whilst housing a phone, that device should survive with no issues. This headset is very good at providing the experience that it was designed for, however, as a general purpose VR headset, it lacks a few important features such as a remote. 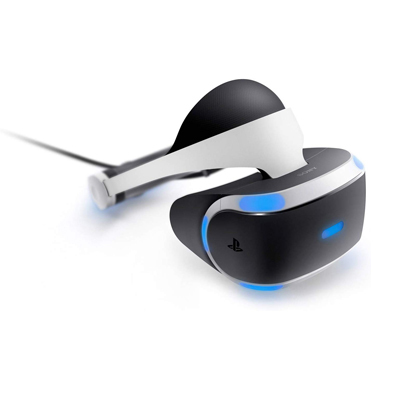 The PlayStation VR Headset is very different from the other devices on this list as it is the only one that requires the use of a gaming console. While this means that the VR experience it is able to provide users is far greater than what can be expected of mobile headsets, users will need a version of the PlayStation 4 in order to use it. The headset is compatible with two types of PlayStation controllers which include the standard Dualshock 4 controller and the Move Motion controllers. For most games, the Move Motion controllers will provide a more immersive VR experience, however, the Dualshock 4 controller allows regular games to be played in VR as well, although the experience is far more limited by comparison. These controllers also don’t come with the headset, unless they are purchased as part of a bundle. The display inside the headset is a 5.7” wide 1080p panel that can run at up to 120 frames per second. Although it is a very nice display with fairly vibrant colors, pixels are sometimes noticeable. Somewhat surprisingly though, they are less noticeable than when a 1080p smartphone is used with a mobile headset. The device is made mostly from plastic and it has a soft rubber insert to provide a level of comfort to the user. The mechanism to adjust the headset is also really easy to use and has a good level of adjustability, however, it is also rather flimsy and feels like it could break without applying a lot of force. Overall, it is a great headset that adds an extra dimension to gaming for PlayStation users. It could do with a few more big titles to play though as right now the library is fairly limited. 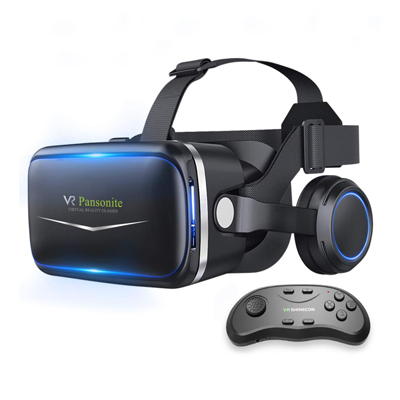 The Pansonite VR headset is another fairly unknown entity in the world of virtual reality. It does, however, boast a few interesting features that a lot of other headsets aren’t able to provide. The device is a mobile headset, meaning that although the experience will be somewhat limiting, users will not need a high-end PC to power it. It is also compatible with most smartphones, making it very versatile. This does mean, however, that it is prone to the same cons as some of the other mobile headsets on this list. For example, the experience will be slightly affected by the display of the phone that is used as the resolutions and vibrancy of smartphone display differ greatly. It also means that any dirt or smudges will be instantly noticeable by the user when inside the headset which can be very frustrating. One of the nice features of this device is the controller. It has a traditional design which will reduce some functionality in terms of motion sensing, however, it also increases its functionality in other areas, with the controller having more buttons than the average VR remote. The headset also has built-in headphones. This can be seen as both a positive and a negative, as on one hand, it means users will not need to purchase a separate pair to use with this device, but on the other hand, those who already have headphones will probably want to use those as the sound quality will likely be higher. The built-in headphones can simply be moved out of the way though, if necessary. Like most of the headsets on this list, the Pansonite is made from plastic and has a soft foam insert to add comfort. This insert is also wrapped in leather which is a nice touch and should help reduce irritation if the device is rubbing on the users face. Although good in terms of functionality, there is no denying that this product lacks the premium-quality of some of the other devices on this list. However, at its price-point, it is great value for money and provides plenty of features for the end user.